Aerial videography can add creative impact to a variety of video projects. Whether you require a high-impact establishing shot of a location, footage of work being carried out in an outdoor environment, or a high resolution aerial survey of your sites or structures, our team can help. 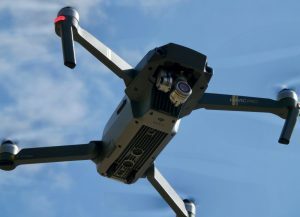 Southpoint Films holds a Permission for Commercial Operation (PfCO) in the UK from the Civil Aviation Authority for flying Unmanned Aerial Vehicles (UAVs) – the formal name for drones. You can rest assured knowing that any aerial services we supply are provided safely, in accordance with the “Drone Code”, and that our operators have full knowledge of how to fly their aircraft. None of our clients want to end up in the local newspaper for using a drone irresponsibly, so a large focus when capturing aerial footage is risk mitigation – a necessity not always considered by unqualified, amateur UAV operators. It also helps that we’re experienced creative filmmakers too. The aerial shots we take add tremendous visual impact to a project. It also means that we don’t charge separately for aerial services, instead bundling them into our existing filming and photography rates. A camera is a camera – even if it happens to fly. All of this is to say that we do whatever it takes to safely provide high quality aerial services that get the shots you need to make your projects soar. Want more information about this service? Contact us. Unmanned Aerial Vehicles (such as drones) provide a unique perspective for capturing video and photos. With the ability to fly up to 120m in the air, they allow us to capture amazing shots of buildings, locations and other points of interest that would be impossible to see from the ground. We’ve previously used drones for capturing shots of client premises, tracking shots of vehicles, and routine aerial video and photo surveys showing progress on large construction sites. If you’d like to know more about how we can use this technology in your next project, get in touch. 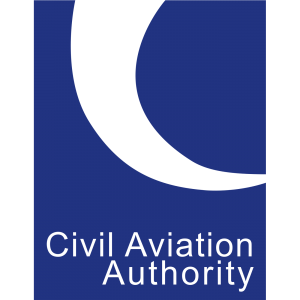 Any and all Unmanned Aerial Vehicles (such as drones) in the UK must be operated in accordance with CAA guidelines. These are basic rules that every UAV operator must follow, which are detailed on NATS and the CAA’s Dronesafe website. As part of these rules, companies undertaking commercial aerial work must have a Permission for Commercial Operation (PfCO) from the CAA, which Southpoint Films does. Our two pilots, Rowan and Paul, hold the relevant NQE in UAV operation that the CAA requires. They are both covered by our PfCO and our insurance for carrying out commercial aerial work for clients. As long as we can meet the “Drone Code”, we can fly for you. If using a drone isn’t a feasible option for your production, it doesn’t mean that you have to go completely without. 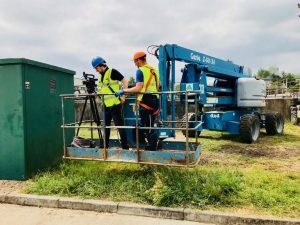 Depending on what your project needs, we can utilise camera cranes (jibs), wire cams, and industrial equipment such as cherry pickers to get the vantage shots you need without the legal restrictions that come with flying an aircraft. Don’t panic about the rules just yet, though. Our team will review all options during the planning process of your project.